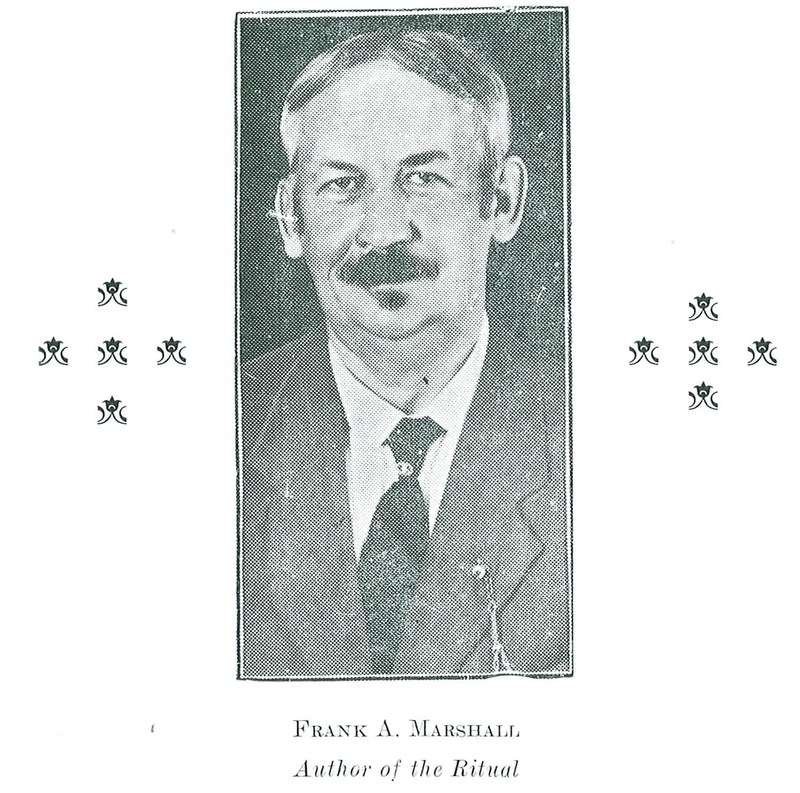 This is the second part of a message written by Dad Frank Arthur Marshall to the members of Lancaster Chapter in Lancaster, Pennsylvania, for their Annual Banquet program booklet in 1929. I confess that for weeks nothing outstanding came to me, but the little inspiration of the crown of Youth furnished the key to the Initiatory Degree. From that time on the ritual virtually “wrote itself.” The East as the morning of Life, the South as the station of manhood and the West with its solemn lessons were fairly obvious. I purposely wrote the DeMolay Degree in a key very different from the didactics of the Initiatory Degree. I tried to make it appeal to the dramatic instinct inherent in all boys, and to make it avoid monotony when compared with the Initiatory Degree. From time to time Brother Land suggested verbal changes and interpolations in the foundation sections of the ritual. He later called for a Memorial Service which is my personal favorite. He then called for an Institution Service for starting new Chapters and then requested a Majority Service to bid farewell to DeMolays who became of age. Still later he asked for a Funeral Service apart from the Memorial and, last of all, for the Legion of Honor. To accept these demands I responded with all that I had in me and such as it is the DeMolay Ritual is my most reverent contribution to the welfare of the community, state and nation. My modest little home at 4506 Jefferson Street, and especially the pine and great hedge trees in the front yard, are sacred places to me because in my home and under these trees the DeMolay Ritual was forged on the anvil of my heart and soul during the summer months of 1919 as I found time from the exacting daily duties of my profession. Originally I called the units Council's instead of Chapters as I was a member of the DeMolai Council it was most logical to call the principal officers “councilors” symbolizing the advisory functions of leadership. Perhaps if we had dreamed of the future proportions of the Order of DeMolay I would have been appalled at the task I undertook. However, I did what I could. I tried to plant a little acorn which I hoped might grow into a tree beneath which a few hundred or a few thousand boys might find the helpful shade of an inspiration to a better life. That it has grown into a great forest of shade is the great joy of my life and of Brother Land’s and of all others associated with the movement in its early and later days. I have also thanked Almighty God a thousand times that He brought to the aid of DeMolay and its beginning days the great brain, the great heart and soul and wonderful influence of Illustrious Brother Alexander G. Cochran of St. Louis, Sovereign Grand Inspector General of the Scottish Rite of Missouri and Grand Master Councilor of the Order of DeMolay. At a time when even indifference in high quarters for any reason, would have meant oblivion for DeMolay, he was fired by the vision of Brother Land and his kind words in commendation of my own efforts have been among the most precious and treasured memories of my association with the Order. 1.) 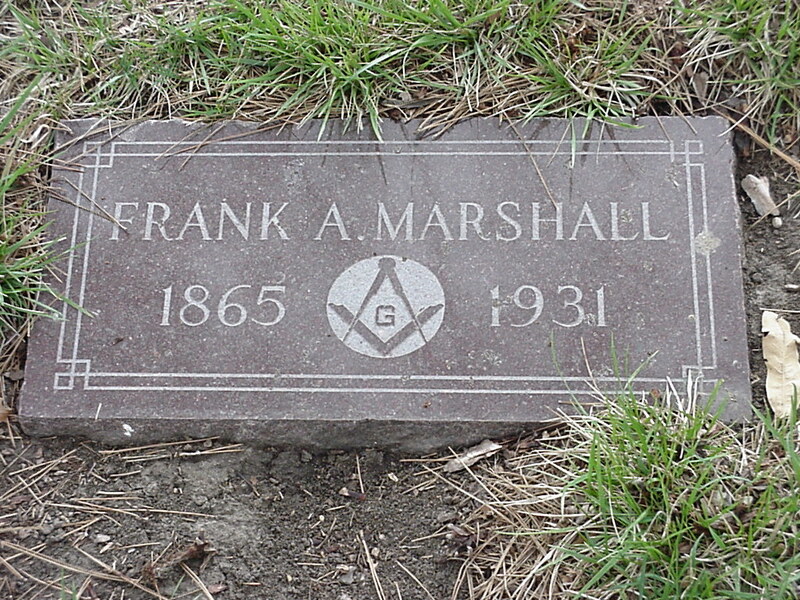 Dad Marshall was 52 when he wrote the DeMolay Ritual. Dad Land was 29, young enough to be Marshall’s son. Why do you think they got along so well? Is it unusual for people with such a great age difference to become the best of friends? 2.) The legend about the DeMolay Ritual being written overnight is partially supported by Marshall’s story of reading the first draft of the ritual to Dad Land. But, at the same time, his admission that for weeks he couldn’t finish the work refutes the legend. How do you reconcile that? What part of the ritual was Marshall struggling with?